This week was a double whammy for me, as not only did I mark the fourth anniversary of my father’s death on Dec. 20th, yesterday marked seven months since Mom died. Somber anniversaries just before Christmas. Mom’s last Christmas card to me. While I think of my parents daily, I honestly let the 20th slip by without officially marking my father’s death anniversary. Four years out, there is naturally some healing and closure. I know this will eventually happen with how I feel about my mom as well. Just after Christmas, I am paying my father tribute by visiting New Orleans. I will be taking the train, one of my dad’s favorite modes of transportation (after a boat.) I will be staying at the Roosevelt Hotel where my dad worked for a brief time. My dad never provided a great deal of detail about his time in New Orleans, but when he did speak of the city, he spoke of it fondly. I’ve been once before, but was just passing through. I look forward to reconnect with one of my dad’s old stomping grounds, when he was a young and carefree man. I also hope that being “stuck” on the train will free up time for me to focus on writing. For the other bloggers out there dealing with loss or illness this holiday season, I send along thoughts of peace and comfort. 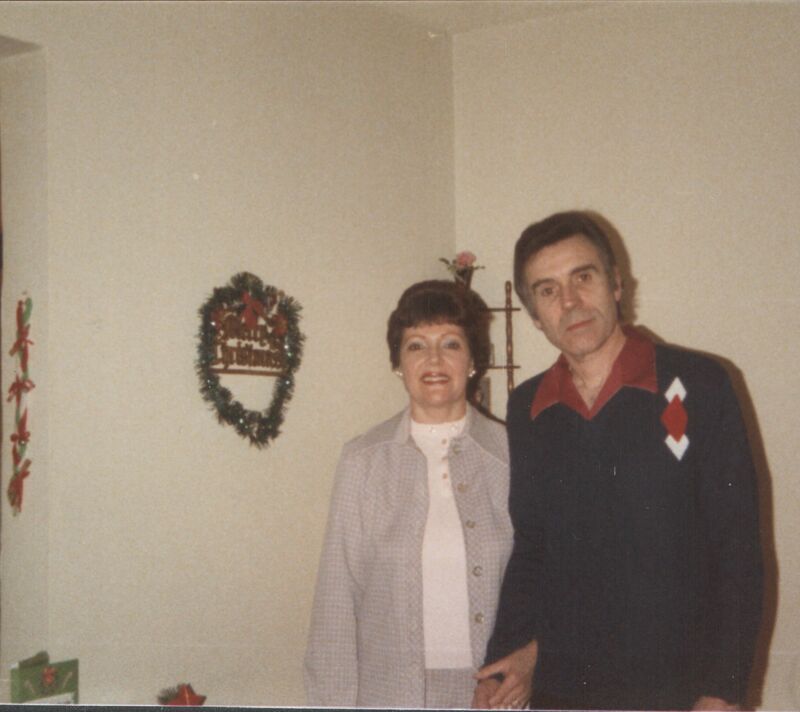 Of course I am thinking of both of my parents today. As children grow into adults, sometimes holidays like Christmas seem more like a burden than a day to enjoy with your loved ones. Buying gifts, making travel arrangements, trying to get through visits without a spat, it’s enough to knock the jolly spirit out of anybody. And admittedly there were many Christmases where I felt just like that. While I never actually spent a Christmas day with my parents after I turned 19, due to living so far away and school/work commitments, I would try to at least make an annual visit. I would usually choose somewhere between Thanksgiving and Christmas. I can’t say I really enjoyed these visits. I do regret never having the chance to just take Dad aside and have some daughter-father bonding moments over a cup of coffee or beer. But then again, Dad was always a benign but forgettable figure in my life at that point. We weren’t close, we never had a deep bond. Of course, having watched him battle Alzheimer’s for over four years, now I realize all of those years of lost opportunities. Dad never shut me out, but he wasn’t one to pursue a more active father-daughter relationship. I was relieved at the time that I only had Mom’s need for companionship to fulfill. Holidays at their most basic are good excuses for families to bond together, to share stories and create their own unique traditions. While I can’t go back in time and change things in my own family, I can at least share my story and encourage others to embrace family bonding opportunities. What may seem like a mild inconvenience now may create memories that you will cherish forever.